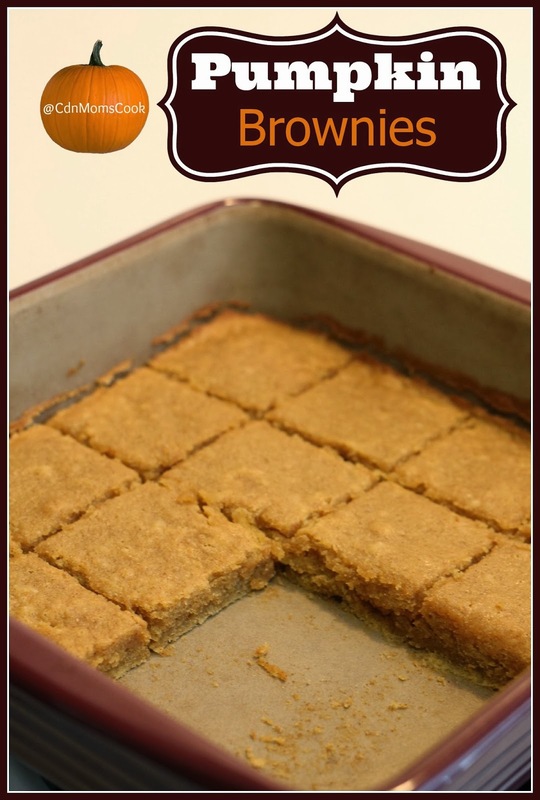 I've made Apple Brownies before so why not try out Pumpkin Brownies? These have a similar consistency to a traditional brownie, but they are slightly less dense and have no chocolate in them. We are chocolate fans here too, but trust me, the chocolate will NOT be missed in this delicious treat. These are moist, chewy pumpkin brownies, but without the chocolate! Have a few left over wraps that no one is going to eat? 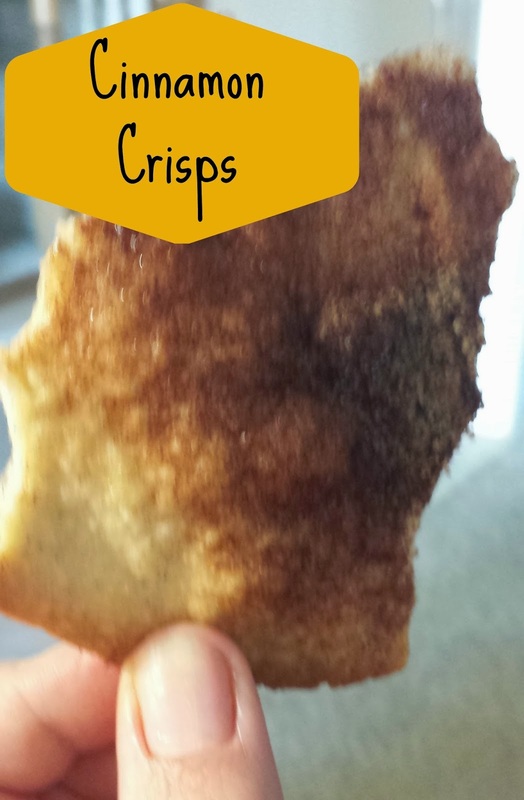 Try this simple recipe to make a fun snack! I've been making this for years, and then recently saw the same recipe over at The Pioneer Woman - great minds think a like! Goes great with ice cream, whip cream, on it's own - a simple and easy snack! I love these, the kids really enjoy them too, and they can really dress up a dessert! This weekend, CTV’s Canadian Better Living program is airing a special on agriculture as told straight from some of Canada’s farmers. Tune into CTV this Saturday, September 21st at noon to watch highly-acclaimed physician and health advisor, Dr. Marla Shapiro appear as a special guest. 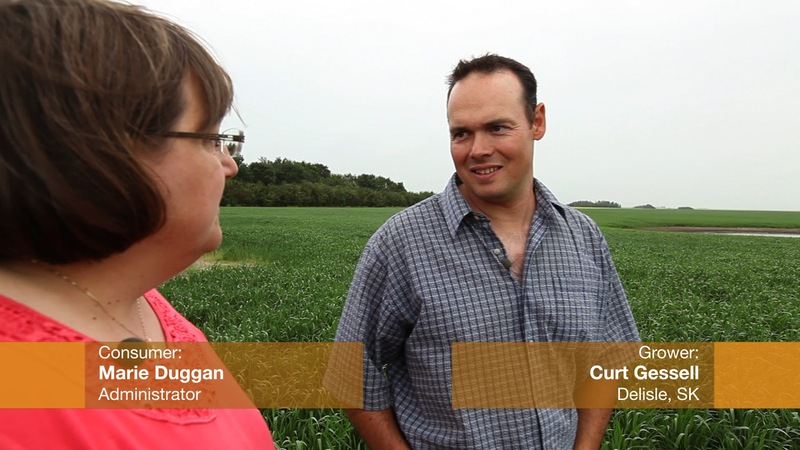 This episode also includes a special report titled, “Where Does Our Food Come From”, where BASF Canada takes you behind the scenes in exploring some common questions that Canadian consumers have for the farmers growing their crops. 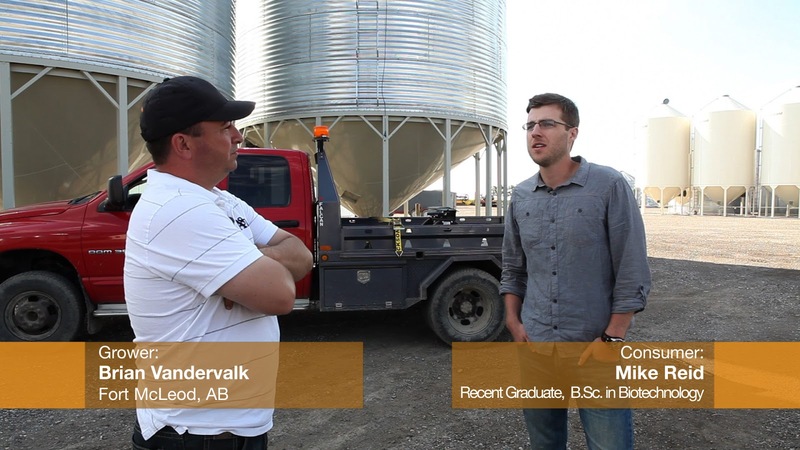 These discussions helped to bridge the gap between consumer perceptions and farming realities that many Canadians just don’t get access to every day. Shot on location at St. Jacob’s Market, host Val Cole interviews BASF Business Director, Scott Kay who discusses BASF’s YouTube series Conversations on Sustainability and how important it is to link the consumer, the farmer, and the technology in between. In this web-series, consumers had the chance to ask their questions to learn more about their food supply and the processes behind it all. See the farms, the farmers, and the machinery in agriculture production. Learn the complete profile of ingredients out there that are being grown in Canada and get the inside scoop on what exactly it is you’re eating. Tune in to CTV Saturday at noon to find out where our food comes from with BASF’s Conversations on Sustainability - I think this will be great to start some family discussions at home about what's on the dinner table and how it got there too. Homemade meatballs are SO easy to make, they really take very little time and they taste so delicious! If you grew your own herbs this summer, make sure they don't go to waste this fall! 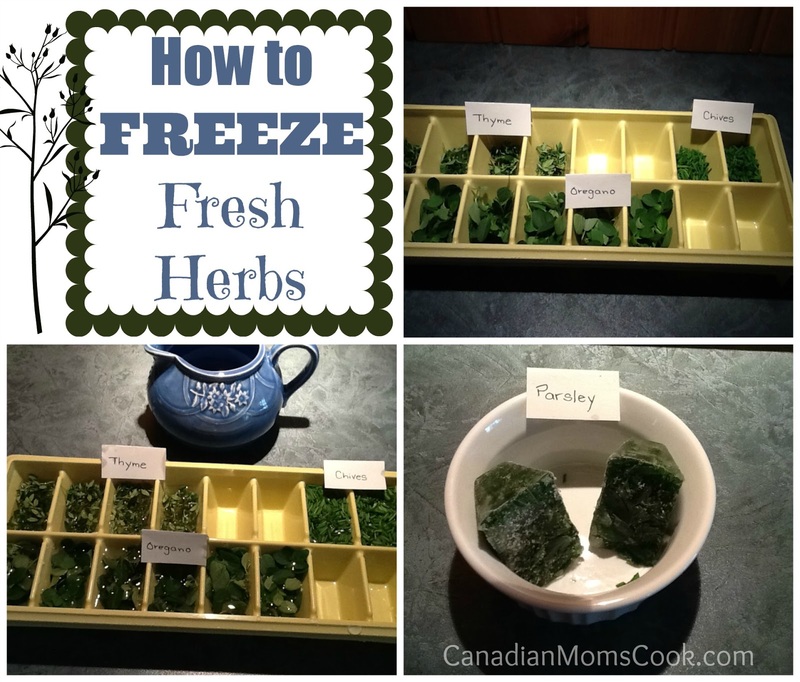 Why not FREEZE your Fresh Herbs! Remove the leaves and place them in an ice cube tray. Pour water over them and place them in the freezer. 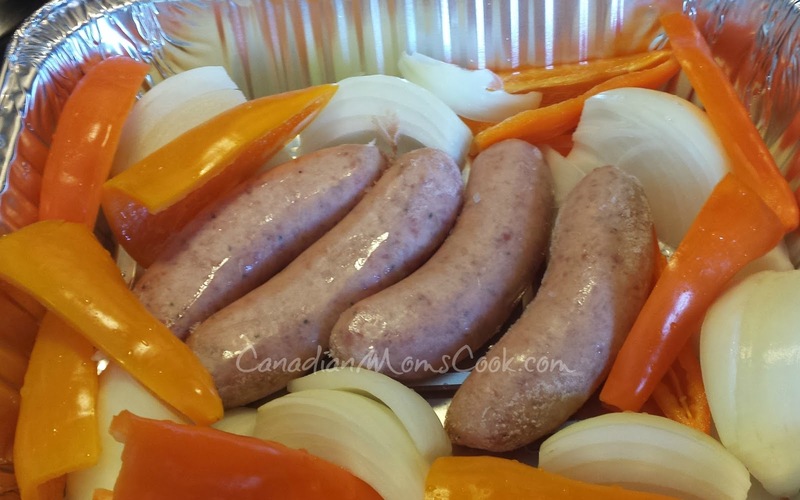 Once frozen, put them in labelled containers or freezer bags. To use, simply add your herb cubes to soups stews and more! Tip: To remove leaves, just slide down the stem, while pinching gently with two finger tips. What a nice fresh taste in the middle of winter. This tip was contributed from my Mom! She is one crafty lady, full of great ideas up her sleeves! She is also an incredible gardener! With the cold weather just around the corner I know some of us put the bbq to rest over the winter (I know some of you use it rain, snow or shine too!) and I hate trying to cook sausage in a fry pan, it splatters everywhere, so I wanted to share the way I roast sausages in the oven, it can then be used in so many meals! 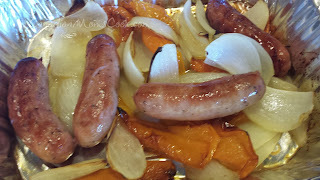 We love this dish both ways, or change it up again and serve over rice, mashed potatoes or along side roasted potatoes. A very easy to make dish that takes little prep time and tastes great! 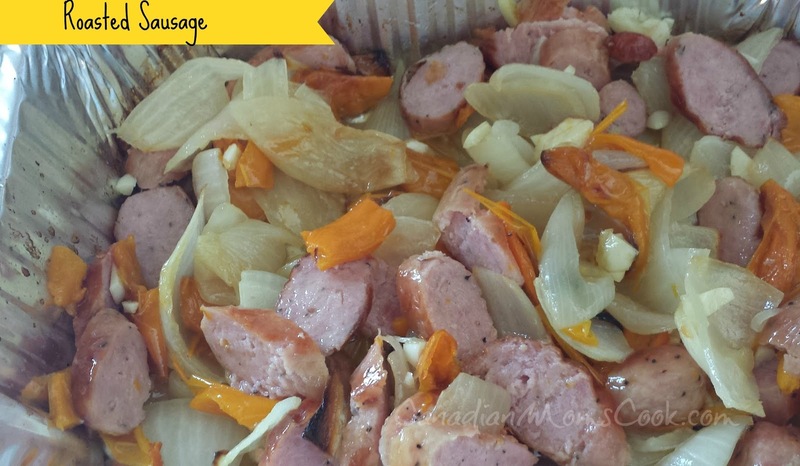 The whole family enjoys this, the kids love it when we have it with pasta best. I'm dipping this in our Homemade BBQ Sauce in this photo! Yum! 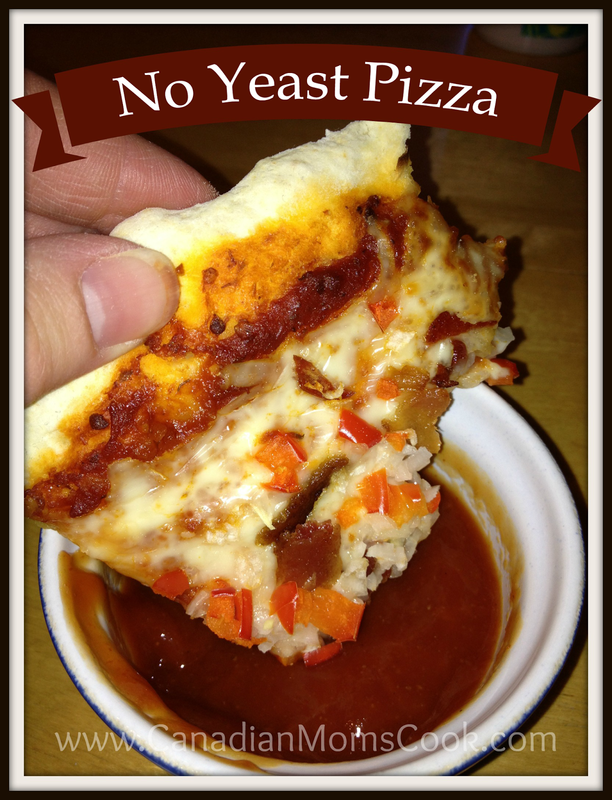 This pizza dough whips up in minutes and requires no yeast! Preheat oven to 425°F. Sprinkle cookie sheet or pizza stone with cornmeal; set aside. 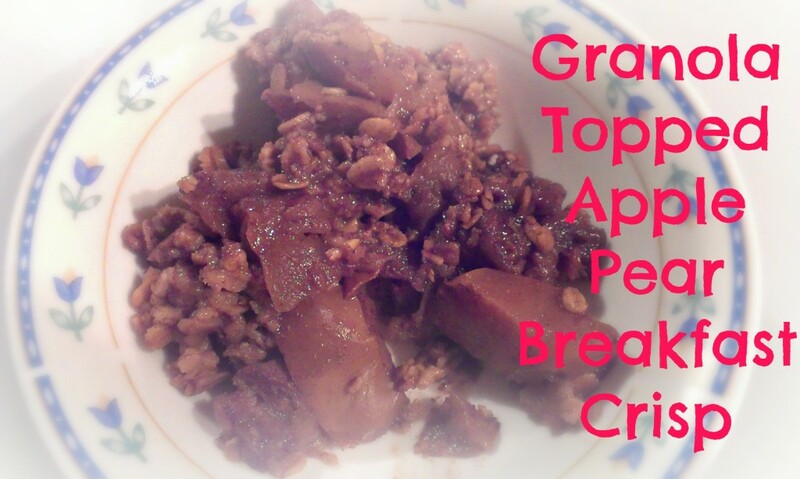 In a stand mixer or food processor mix dry ingredients. Gradually add water until a dough ball forms and mix for a couple of minutes. On a generously floured surface, roll out dough to desired thickness. Spread on sauce, add cheese and toppings. You could make this by hand, without a stand mixer or food processor, it would just require a lot of elbow grease! You could spice up your dough with any spices from your cupboard like oregano, basil to name a couple of ideas. Mommy was VERY happy with how quickly this pizza came together. This dough was easier to roll out than traditional pizza dough. The kids didn't notice the difference with the crust and frankly, neither did I. Hubby was away at work when this was made, but he was drooling from a far! It's Back to School time and that means that we need to think about feeding our children a wholesome, filling and nutritious breakfast before we send them on their way to school! 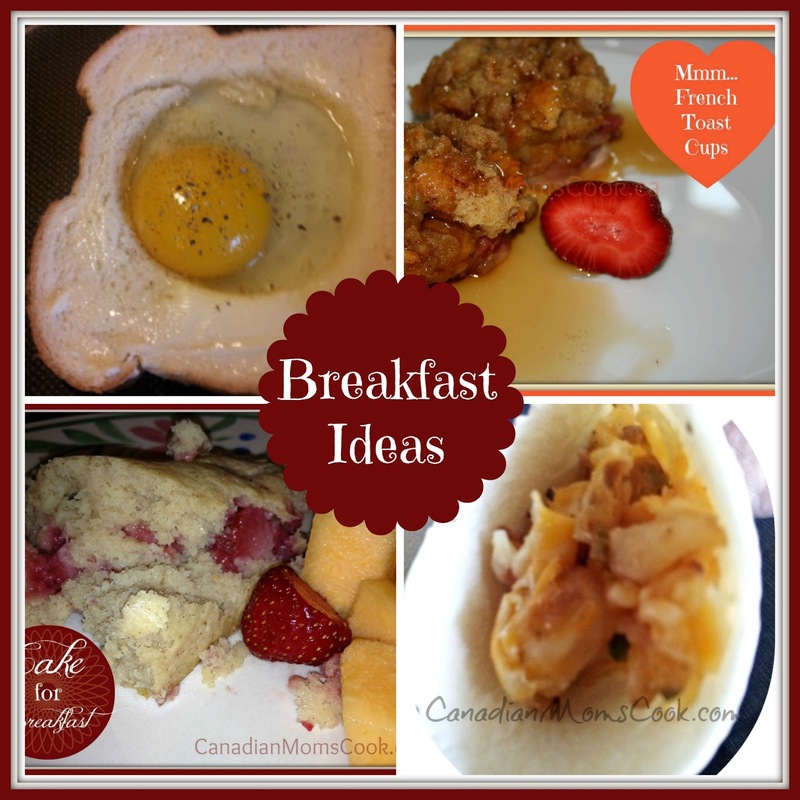 My kids get tired of cereal and toast, although those are definitely options a few times a week, but they also really enjoy homemade breakfast treats too! 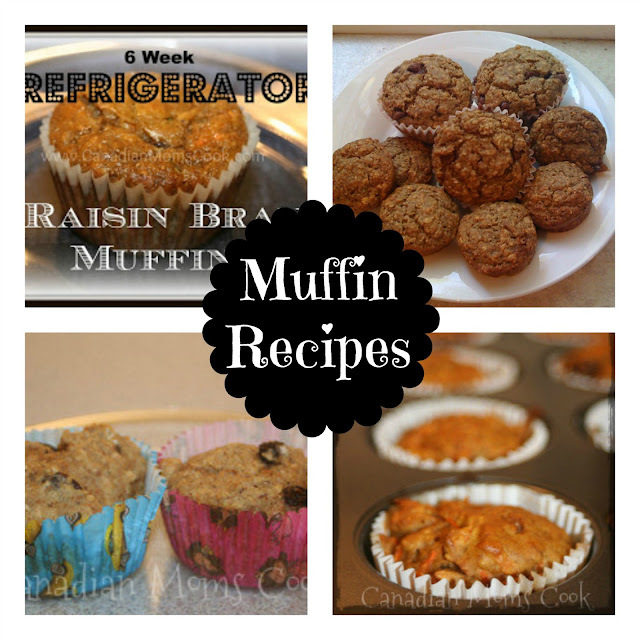 We LOVE muffins in our house! They are easy to make and they always freeze so well. Whenever I make a batch of muffins, I always sneak a few out to freeze for school lunches. 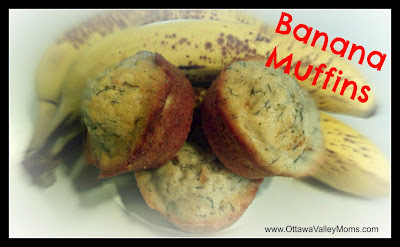 Banana Muffins from Ottawa Valley Moms. What are your favourite kind of muffins?